If the proof is in the pudding, then in a call centre the pudding is the telephone calls. Listening to calls provides the biggest indicators on how to make dramatic improvements in the call centre. There are a number of ways to listen to calls. My preference is to sit next to a live agent and connect an additional headset to the agent teleset. Many ACD systems have a facility to silently monitor agents from a supervisor’s set. Call recording devices can allow wholesale recording of all calls into the call centre and can be used to assess performance of the agent. Mystery shopper calling (where you pretend to be a customer) enables you to gauge how the customer views service, and can be carried out on your competition. All of these methods of call centre monitoring allow you to develop a picture of the call centre. Monitoring from the caller’s perspective will give you an overall impression of what it is like to call your centre. It will demonstrate how frustrating it can be to wait in a queue and how friendly or annoying your voice messages really are. Sitting next to an agent will help to alert you to deficiencies in the contact management system and general workflow. Is the service meeting the callers needs? Are there clear opportunities for up selling and cross selling? Are the agents adequately trained? What opportunities are there for Customer Relationship Management? Monitoring calls can help to identify the difference between the service you are offering and the needs of the customer. A good example of this has been the need to confirm details in writing. All businesses have the need to maximize security and minifies risk. But there is a price to this. The smarter companies have eliminated the need for the customer to put anything in writing – except for the signature on contracts. They fill in the form during the telephone conversation and send the customer a copy to check. Call recordings can then be used in dispute arbitration – usually without the need to go to court. 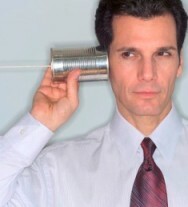 Once a caller is played back a telephone recording, misunderstandings usually become clear. Up-selling or cross-selling opportunities become clear from call centre monitoring. In many sectors between 2% and 10% of service calls have direct sales potential. These could range from a direct customer query, or a clear cross-sell opportunity. By listening to calls as you try out new sales methods, it will become apparent which techniques work and where deficient ones can be improved. The campaign can then be refined to gain maximum effect.